Vereeniging taxi operators and owners have vowed to disrupt Thursday’s Human Rights Day celebrations in Sharpeville where President Cyril Ramaphosa is expected to commemorate the day. Police has arrested scores after the peaceful protest turned violent on Wednesday. Gauteng Transport MEC Ishmail Vadi has met with members of the minibus taxi industry in Vereeniging to hear their grievances. Operators say they want the potholes fixed and construction of their taxi rank completed. Streets in the Vaal Triangle are littered with rocks and barriers preventing motorists from accessing some routes. Meanwhile, South Africans will spend Human Rights Day enduring Stage 4 loadshedding. Eskom has released a statement on twitter confirming that it will implement Stage 4 load shedding again from 9am on Human Rights Day in South Africa. Eskom says this is because of continued lack of capacity. The cash-strapped power utility has been battling to keep the lights on amid lower than expected power from new stations, Kusile and Medupi, as well as interrupted supplies from Mozambique’s Cahora Bassa hydroelectric plant following Cyclone Idai. Stage 4 loadshedding costs the economy about R4 billion a day. Democratic Alliance (DA) Premier candidate for the Western Cape, Alan Winde is calling on President Cyril Ramaphosa to declare Eskom’s electricity supply crisis, a national disaster. Winde says South Africa is facing an economic collapse as a result of the unstable power supply. He also wants the national government not to oppose the City of Cape Town’s court application in the South Gauteng High Court, seeking government to allow individual municipalities to source energy from independent power producers. The IEC says it will do everything possible to protect the integrity of the electoral process. Fears are mounting that loadshedding could adversely affect vote counting during the May 8th general elections. Already some political parties are worried saying loadshedding will be a serious threat to the voting process. 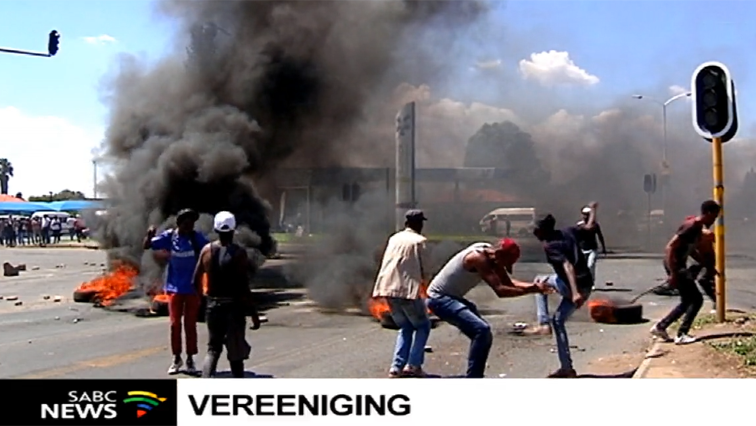 The post Vereeniging taxi protests, Stage 4 loadshedding to disrupt Human Rights Day appeared first on SABC News – Breaking news, special reports, world, business, sport coverage of all South African current events. Africa's news leader..